Blockchain-based system can be used to record, track and verify the transfer and trade of virtually anything of value. If blockchain technology allows us to track all types of transactions in a more secure and transparent manner, just imagine the possibilities it presents across the supply chain. Every time a product changes hands, that transaction could be documented, creating a permanent record and log of information and data associated with that product from the time it is manufactured (or even earlier) to the time it is sold (and possibly later in its after-sale life). This could dramatically reduce time delays, transaction costs and humans error, all of which plague transactions today. Blockchain-based supply chain management systems will bring many benefits. When many of us think of supply chains, we think of the amazing work Amazon is doing. However, at present, global supply chains don’t work quite as efficiently as when you order a book from Amazon’s Prime service. When you order 100,000 widgets from a factory in Pakistan things aren’t all that automated. Compared to Amazon, international and large domestic supply chains involve far less machines then we would assume. They involve more people. Everything happens slower and more errors are committed. It is common for commercial buyers not to know where their things are in the moment or when they will arrive. There are dozens of actors and players in any supply chain so the automatization and accreditation of trust would go a long way to improving the way things are done now. The supply chain industry is worth tens of trillions of dollars every year, with around $20 billion being spent on jsut the management of. Because the industry is so large, even incremental improvements in time-to-market or shipping costs can yield enormous financial improvements. If a vendor can be paid a couple of days earlier that’s billions of dollars in economic benefit. If workers spend less time accounting for lost or stolen items then that’s billions of dollar in reclaimed productivity. If a vendor can better plan its operations because they know where everything is and exactly when they will get it that’s will have a huge impact on our economies. So what specifically causes these issues? Often times documents that should have been filled out before the whole process started weren’t filed when they were supposed to be. Other times they contain errors or are incomplete or the information contained at the beginning of a 6-month production and delivery process changes and is no longer current. All of this can be mitigated with the use of blockchain and smart contracts, where things are automatically triggered. For example, a vendor changes its address with the local registration authority in its country of origin while the contract is already under way. That updated address triggers a smart contract to update all of the banking and shipping and production records, ensuring that all of the subsequent documents match. This prevents errors and delays. Vendors who are part of blockchain-based supply chains will also immensely benefit. They will be able to receive funds faster, know exactly where their goods are and be able to build sophisticated IFTTT protocols. The benefits that blockchain-based supply chain management systems will bring for members of the system are staggering. New products and market offers will also be able to be built as more and more verifiable and credible information is available to third-parties. We can envision a world in which finance partners are able to provide buyers with trade financing (or refinancing) based on automated and verifiable information from the supply chain system that their order has been realized and that the in-route assets can be collateralized. 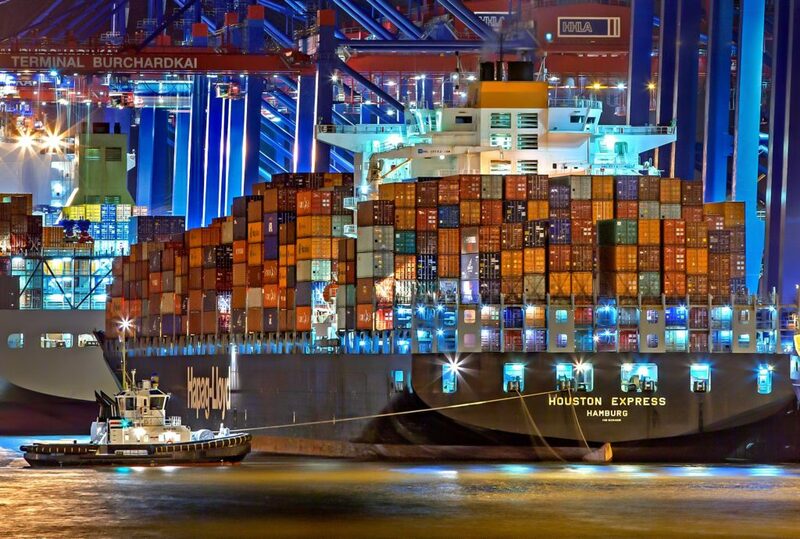 Plenty of major industry players are already testing out new blockchain-based supply chain solutions, including Maersk, who has partnered with IBM. As the world continues to globalize and as incumbents are upended by new upstarts, supply chain management can be a source of differentiation and competitive advantage. Delivering products faster and cheaper to market with a better user experience will help many stand out. Blockchain-based smart-contract powered supply chain management platforms will be the proving ground for a lot of this technology. End-buyers will be able to track what is going on with their shipments and have access to a visible ‘chain-of-custody’ ledger, which doesn’t exist now in the space. If you are interested in exploring how implementing blockchain solution in your supply chains will bring benefit to your business please feel free to contact MLG Blockchain to learn more.